The use of corporate videos for your business. Have you ever wondered whether the use of corporate videos would be beneficial to your business? When it comes to your business, always put quality first. There’s a little saying that goes: ‘How you do something is how you do everything’. In a nutshell, if you’re happy to settle for a low quality video to promote your business, you’re probably fine with providing and conducting low quality business to your customers. People are often put off by the idea that videos are going to be an extremely expensive and complicated process. One of the main things you need to remember is, it doesn’t have to be that way. 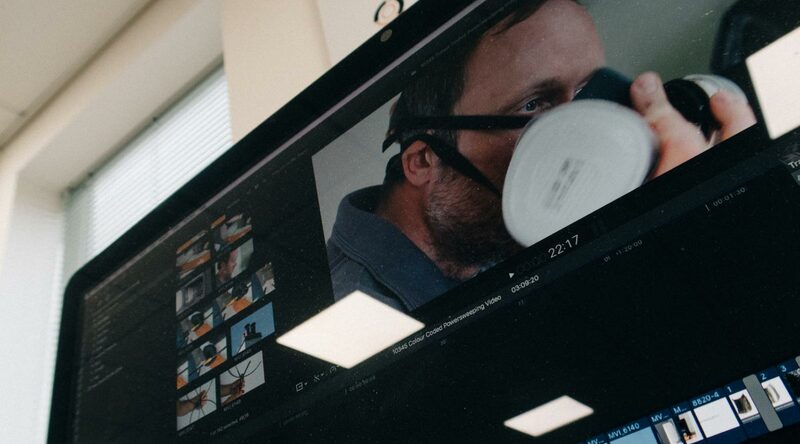 A good quality corporate video doesn’t have to include special effects, famous voice over artists and explosions. After all, not all of us are working with Steven Spielberg budgets. With the launch of their new product The Fluboss Powersweeping Kit, Rodstation wanted to exhibit how it worked, how easy it is to use and how effective it is. The close ups helped make it clear for people to see how to use the product. Being able to cut between both cameras helped keep the scene interesting for the audience. When it came to communicating the points that Rodstation wanted to make, we used clear slides of text. To show how effective the Fluboss Powersweeping Kit is, we used before and after pictures. To tie it all together we added an up beat (royalty free) soundtrack to play in the background. When Kettler teamed up with Everdure by Heston Blumenthal, an event was arranged in The Crown at Bray. The purpose of the event was to exhibit the new range of BBQ’s that they were selling. Kettler wanted to record coverage of they day, shots of the guests enjoying and the multiple products in use. The purpose of this video was to be used on social media platforms as well as their personal website. Call of the Wild were keen to promote sustainable use of the environment. To do this they provided us with their research and data for us to convert into an animated video. Using the data, we converted these into illustrations that animated into a 50 second video that would promote just that. For use mainly online, Call of the Wild were able to embed this animation on their websites as well as their social media platforms. By doing this, they were effectively keeping their target audience informed on their commitment to promote sustainability within the environment and working towards obtaining carbon neutrality status. Now that you’ve seen the different forms of videos we’ve produced to help promote business, if you feel we can help you with your company video, please give us a call on 01656 668 779 or get in touch here.